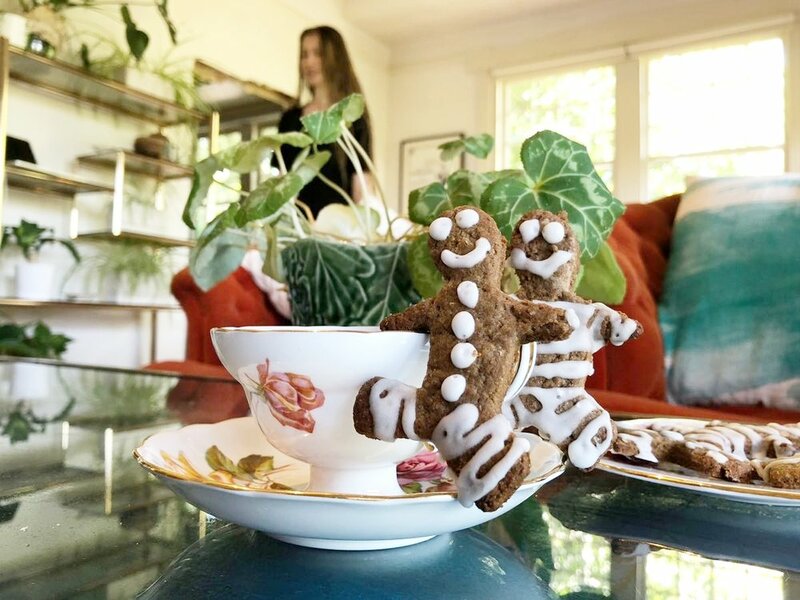 It wouldn't feel like Christmas if there weren't at least one batch of gingerbread people being baked around here, and this recipe is our very best gingerbread recipe yet. Crisp on the edges and chewy on the inside, the biscuits are decidedly more-ish. Not too sweet (although if you want them sweeter, you can up the brown sugar component slightly without altering the texture), and full of delicious spices, they are also sneakily hiding whole meal spelt flour in their ingredient list. And by using refined coconut oil, which is still cold-pressed but has the sediments containing the coconut flavour removed by sieving, they taste like an old-fashioned gingerbread - but they are totally dairy and egg-free to be kinder to the animals. Combine ground flaxseed and water in a small bowl and set aside to thicken into a "flax egg". In a saucepan, mix the golden syrup, coconut oil and brown sugar. Simmer gently until the coconut oil has melted, stirring to create a smooth mixture. Mix baking soda and 2 tablespoons water in a small bowl and set aside. Place flour and spices in the bowl of a stand mixer and mix just to combine. With the mixer stopped, pour all the wet ingredients onto the dry, then mix just until it comes together. Divide mixture in half, and roll each half to about 4 mm thickness between 2 sheets of baking paper. Cut with desired biscuit (cookie) cutters, and place on a baking tray. Bake for approx 8 minutes, or until just starting to colour. Allow to cool on a cooling tray, and ice when quite cold with Aquafaba Royal Icing. 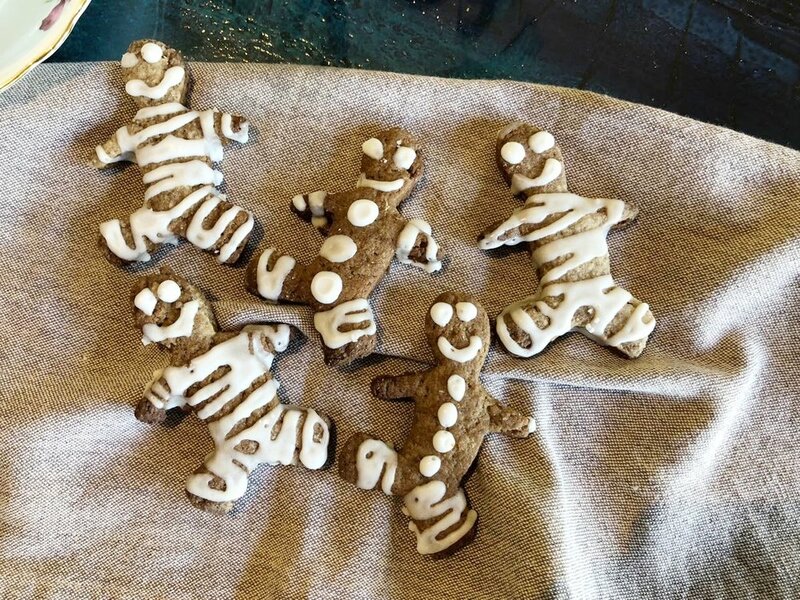 Our gingerbread people are clearly into stripes this year, but however they are decorated, they are sure to be a hit with children and adults alike! Wishing you a very Happy Christmas, however and wherever you celebrate it.